Almost two years after the Grand Opening celebration at Curry Creek, this exclusive waterfront community situated on a private peninsula in Nokomis (Sarasota County) has sold out. The Cottages of Curry Creek is a private gated community offering private dock options and direct access to the Gulf of Mexico for homeowners. Tivoli Homes of Sarasota prides itself on building custom homes that involve the client as part of the design team as the house is planned. What's important to clients is what's important to Tivoli: Quality in both design and construction, attention to detail and lasting value. The difference can be seen immediately, in the homes' brightness and airiness, in the masterful way the outdoors is brought in through abundant glass and environmentally sensitive landscaping. Outdoor entertainment areas, including custom-designed pools and spas, kitchen and barbecue facilities are also offered. Tivoli Homes of Sarasota has developed many communities in Sarasota County including Curry Creek, Longwood Run, The Oaks Country Club, Callista Village and Rivo at Ringling. Tivoli has also constructed homes in the Hammocks, Park Trace and Three Oaks. Now Tivoli Homes is excited to shift focus to the individual homeowner looking for a luxury custom home on their select lot. “If you find the right clients, building a home for them is a very rewarding experience,” says Johnson. Tivoli provides design-build services, which provide clients a value as our team has experience working together. The 4,134 square-foot home is situated west of Tamiami Trail, in the middle of the Poinsettia Park neighborhood, known to locals as the “flower streets” neighborhood, and is just three blocks to the south of Southside Elementary and three blocks to the north of Siesta Drive. The Magnolia is offered at $1,399,900. The Magnolia also features an expansive island kitchen with Thermador appliances, quartz and granite counters, large walk-in pantry and laundry. High attention has been paid to design details which include tray ceilings, meticulously crafted beams and millwork, porcelain plank floors, and stone work. The concrete block, energy-efficient home utilizes sustainable technology such as spray foam insulation in a sealed attic system, meaning air conditioning systems and ductwork are in conditioned space as opposed to the typical 140-degree vented attic found in most Florida homes. Other energy efficiencies are gained through a heat pump hybrid system with recirculating water for the water heater, and insulated, impact-rated windows and doors. As well the home utilizes embedded hurricane anchors, and individually fastened concrete tiles in the roof. The model home is open every Sunday, noon to 4 PM, or by appointment any time. 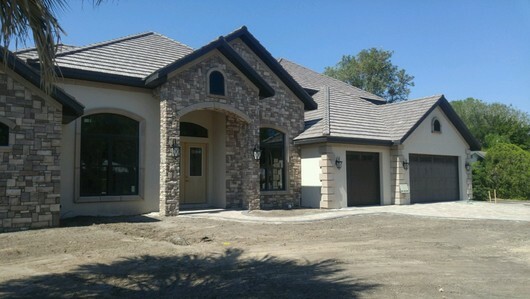 To view floor plans, site plans, and video, visit www.tivolihomes.com, or https://www.facebook.com/Tivoli-Homes-of-Sarasota-126697244008405. For sales information and inquiries, contact the sales office at 941.313.4273. What Drives Sales at Cottages of Curry Creek? SARASOTA, FLORIDA, July 21st, 2016 – Tivoli Homes has intensified marketing efforts for its newest community—the Cottages of Curry Creek in Nokomis—after its other property developments met success in the resurgent market for Sarasota homes for sale in recent years. This Sarasota-based company is building upon the strong sales exhibited in The Cottages of Callista Village which it developed around 2005 in Longwood Run just off of University Parkway. Tivoli has already sold out its 21 cottage-style single family homes in this community. There is a recent resale posting here though—a two-bedroom home with a floor area of 1,930 square feet and an asking price in the high $200s. Pricing at The Cottages of Curry Creek starts at $469,900 as quoted for a pre-construction residence, one of two currently listed amongst Sarasota homes for sale. Designed with three bedrooms and two baths, this residence features a floor area of 1,843 square feet. The Cottages of Curry Creek is planned as a gated community with just 12 home sites each platted at a minimum of 10,000 square feet in a peninsula-like parcel. Each lot is located either adjacent to Curry Creek or adjoining a canal. This layout allows homeowners the option to have private boat docks providing access to Roberts Bay and onwards to the Gulf of Mexico. Outdoor kitchens and swimming pools are added options for Curry Creek homes for sale. The homes in this community are all designed as Key West style cottages with spacious front porches like those at the Callista Village. Similarly, the Curry Creek residences have semi-custom designs featuring fiber cement siding over concrete block, and their construction follow green home standards. For durability and energy-efficiency, the residential construction at Tivoli’s Curry Creek community includes wind-resistant metal roofs, spray foam insulation, and impact-resistant hurricane glass windows and doors. High-efficiency air-conditioning systems and heat pump-style hot water heaters are added building features that make these homes eligible for Energy Star rating. Tivoli Homes can also take credit for the recent build-out at The Hammocks, one of the most attractive search destinations for inland Sarasota homes for sale. This gated community is located east of I-75 at Bee Ridge Road as it bends southwards between the golf community of Heritage Oaks and the equally fascinating neighborhood of Misty Creek Preserve. Sitting just east of another golf community, Laurel Oak Country Club, The Hammocks was developed starting in the early 2000s. Full development of its 194 home sites was stalled by the Great Recession, but Tivoli resumed building here in 2010. Resale homes are currently priced between the $200s and the $900s, featuring floor areas ranging from about 1,550 square feet up to approximately 5,650 square feet. Recent turnover of Hammock properties is relatively brisk, reflecting the upbeat market interest on Sarasota homes for sale. During the last six months, seven sales were recorded in this community. One of these was a build by Tivoli Homes which had a tag price edging towards the $600s, featuring three bedrooms and three baths within a floor area of close to 2,800 square feet. 2016 / Sarasota, FL -- The model home at the Cottages of Curry Creek, developed by Tivoli Homes of Sarasota, was honored with four awards during the 2016 Parade of Homes Manatee-Sarasota. 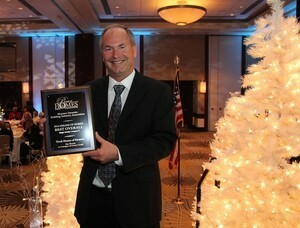 Tivoli's 2,265-square-foot Bay Breeze design was selected "overall winner" in its category, which included entries from Neal Communities and Heritage Builders. The Tivoli model home also won "best curb appeal," and tied the win for "best kitchen" and 'best floor plan." Tivoli Homes president Gary Johnson accepted the four award plaques during the Parade of Homes awards ceremony held March 3 at the Hyatt Sarasota. Sponsored each year by the Manatee-Sarasota Building Industry Association, the Parade of Homes is a showcase for the model homes of area builders. This year over 110 model homes were featured in the competition, which is categorized by price. The Cottages of Curry Creek is an exclusive enclave of just 12 homes, situated on a private peninsula in Nokomis in southern Sarasota County. Each home site in the gated community has either water frontage directly along Curry Creek or along the canals; all have private dock options with direct boating access to bay waters and the Gulf of Mexico. 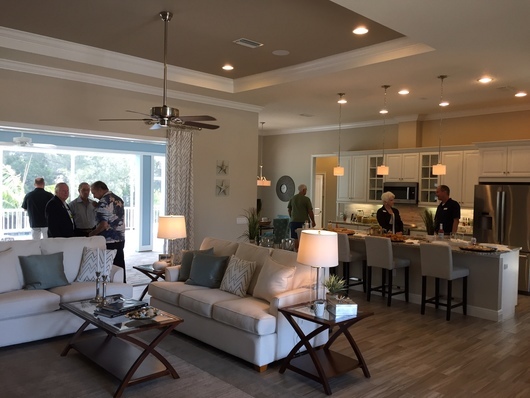 Over 300 visitors toured the Bay Breeze model at the Cottages of Curry Creek during the three-week Parade of Homes event. Designed to offer the best of coastal living, the model has an open floor plan with disappearing sliding glass doors that create a dynamic entertaining area between the living room and the 467-square foot screened lanai, replete with outdoor kitchen and grill, pool, spa, and outdoor fireplace -- all overlooking the dock and waterway. The Bay Breeze offers three bedrooms, two baths, a separate den/office, formal dining area, breakfast nook overlooking the lanai through aquarium windows, and an oversized, two-car garage. Other designs in the community include the 1,963-square-foot Beach Comber II, and the 1,843-square-foot Trade Winds. All of the homes are connected to Sarasota County's water and sewer system. 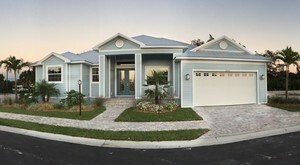 The Cottages of Curry Creek are semi-custom homes with an inviting, shoreside feel, invoked by features that include wind-resistant metal roofs, plentiful outdoor living spaces, covered front porches, screened lanais, and options for swimming pool and spa, as well as outdoor kitchens and boat docks. The homes are designed to meet top guidelines for hurricane code and building construction, and meet or surpass the standards and codes of the Florida Green Building Coalition. Features include concrete-block exteriors, PGT WinGuard, impact-resistant hurricane glass windows and doors, custom cabinetry, granite countertops, and deluxe Energy Star appliance packages, and in-ground irrigation. The enclave will have a homeowners association with a low monthly fee of $185, which covers lawn care and maintenance for the 10,000-square-foot home lots and all common areas. The Cottages of Curry Creek community is situated less than a mile from US 41, with close proximity to Venice, easy access to I-75, and a short drive to downtown Sarasota. 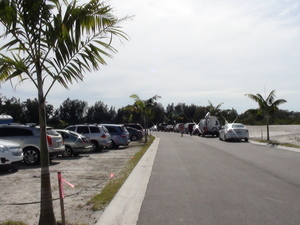 The Legacy Trail is just two blocks away; beaches and restaurants are within a few minutes' drive. Pricing for the homes begins at $469,900. The model home is open daily: Monday through Friday, 10 am to 5 pm; and Saturdays and Sundays noon to 5 pm. For sales information and inquiries, contact the sales office at 941.343.7539. Tivoli Homes of Sarasota is an experienced local builder specializing in high quality custom designs since 1979. Over the years, Tivoli Homes has built hundreds of exceptional homes in both Sarasota and Manatee counties. Gary Johnson, President says, “Tivoli Homes offers a different approach to custom home building, asking the client to be part of the design team as the house is planned. What’s important to you is what’s important to Tivoli: quality in both design and construction, attention to detail and lasting value." Tivoli currently has a magnificent French Country design at 1807 Magnolia St. under construction. This home features over 4100 square feet of luxury living space in a great room plan with 4 bedrooms, 3 baths, den, game room, 3 car garage, pool, spa and outdoor kitchen offered at $1,399.900. Completion is expected in June. Tivoli to Participate in 2016 Parade of Homes! The parade is coming! The Manatee & Sarasota Counties 2016 Parade of Homes will be taking place from February 20th through March 6th. Tivoli Homes' newest project in Nokomis--the Cottages of Curry Creek--is proud to be participating, with the Bay Breeze model as its star attraction. Come visit our friendly Sales Consultants, Dan and Leeanne, at 900 E. Colonia Lane. Over 200 guests and interested buyers attended the January 30th Grand Opening celebration of the Cottages of Curry Creek, an exclusive waterfront enclave situated on a private peninsula in Nokomis, at 900 Colonia Lane E., in southern Sarasota County. Developed by Tivoli Homes of Sarasota, the Cottages of Curry Creek, is a private, gated community of just 12 homes, each offering private dock options and direct access to the Gulf of Mexico. During the Grand Opening, qualified buyers enjoyed 20-minute boat tours of Curry Creek and nearby Roberts Bay. The celebration included live music, refreshments, video of surrounding waterways, and tours of the development's model home. "We're thrilled with the number of people who visited us during our Grand Opening," said Gary Johnson, president of Tivoli Homes. "We know the Cottages of Curry Creek represents an outstanding value for buyers seeking waterfront property in Sarasota County. This event gave us a chance to showcase the superior construction and great design of our model home, and also gave prospective buyers a feel for all that the community offers -- from the great boating and fishing lifestyle to proximity to the Legacy Trail, and the wonderful, nearby shopping, restaurants, and beaches." 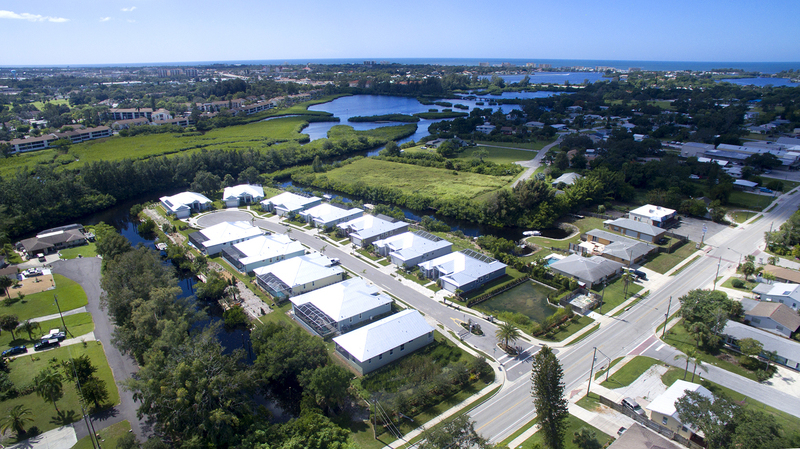 The Cottages of Curry Creek community is situated less than a mile from US 41, with close proximity to Venice, easy access to I-75, and a short drive to downtown Sarasota. Pricing for the energy-efficient, hurricane-resistant homes, which range in size from 1,843 to 2,265 square feet, begins at $459,900. The model home is open daily: Monday through Friday, 10 am to 5 pm; and Saturdays and Sundays noon to 5 pm. Beautiful Suncoast Town of Nokomis Featured on ABC 7! WWSB My Suncoast / ABC 7 features beautiful Nokomis in a special report--part of its series titled "A Place We Call Home." Click HERE for a link to the video that focuses on one of our favorite SUNCOAST towns. Nokomis is close to terrific beaches, great shopping options, fine dining choices, and all the benefits that suncoast living has to offer! Relax and enjoy the fishing, boating, and waterfront lifestyle of The Cottages of Curry Creek, a new Tivoli Homes community located on a private peninsula in Nokomis, Florida. Click below to take a video boat ride -- straight from your Curry Creek dock, through bay waters to the Venice Jetties and beaches...right to the Gulf of Mexico! Just minutes by boat or land to the Venice Jetties and beaches, the Gulf of Mexico, and excellent nearby restaurants and galleries, the gated community of The Cottages of Curry Creek is an exclusive, gated enclave of just 12 private residences, all with water frontage and boat dock options to enable homeowners to fully enjoy life on the water in Southwest Florida. Come visit us today! Model Home open Monday through Friday, 10am to 5pm; Saturday and Sunday, noon to 5pm. For sales information and inquiries, contact Sales Manager Dan Lucas at 941.343.7539.